Don’t you just want to reach out and touch this textured, to-die-for, velvety wallcovering? 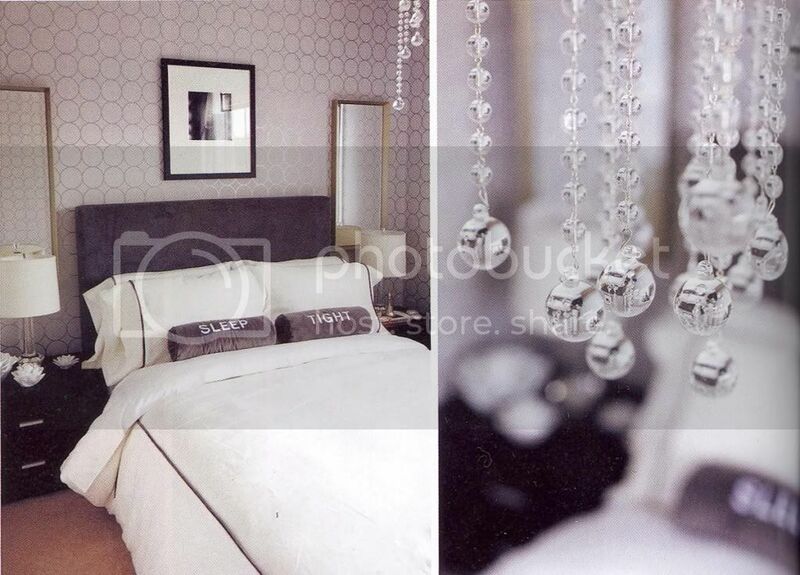 I’ve wanted to wallpaper the one wall behind our bed in the masterbedroom for a while now. 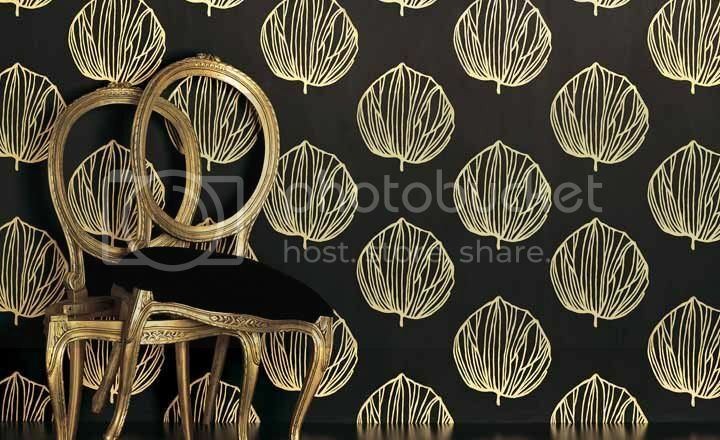 There are so many amazing wallcovering trends out there right now, and I can’t decide what style I am lusting over most! I’d love to show you the ones I am drooling over, and maybe you can help me to decide! What style do you like best? 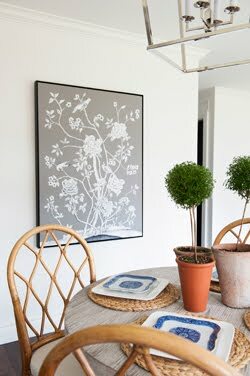 This divine paper was used on the first season of Sarah's House (my favorite season to date) and is also available through Romo. 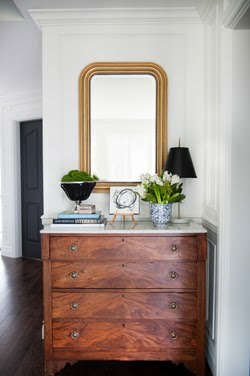 images via Sarah Richardson Design Inc. I like the simple repeated shapes of these papers. You may recognize this first one – it is from Candice Olson’s line of wallpapers, and if you’ve caught recent episodes of Divine Design you’ll have noticed it in the background of her personal office! It’s quite stunning! 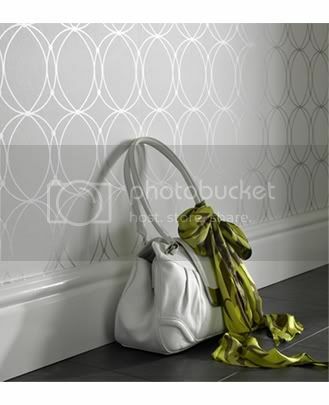 Available through York Wallcoverings. 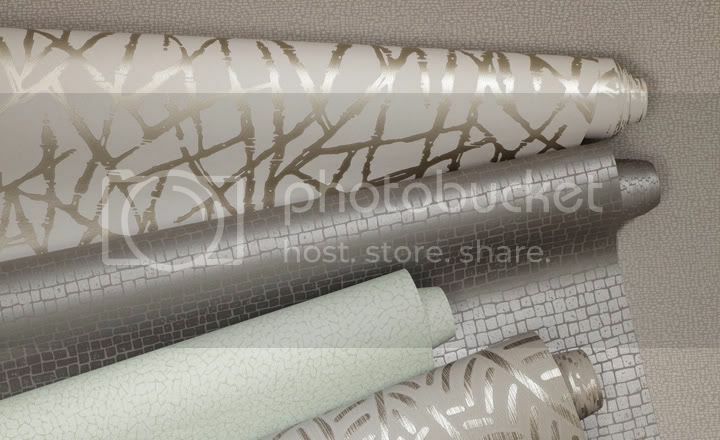 Who can resist the glamour and luster of these silvery wallcoverings? You can probably already tell from some of the photos above that I am loving a little shimmer. 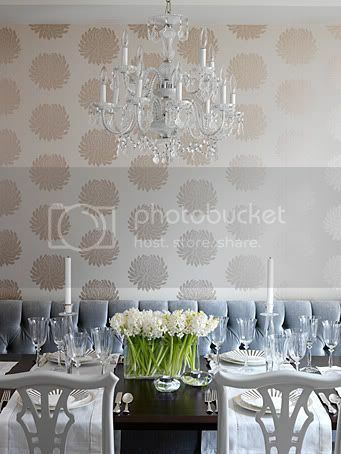 I think with the right lighting in a room, these wallpapers would truly sing! So which of these 3 trends are you loving most? Do you have a specific favorite? Any amazing papers that I have missed? Thanks for your input everyone! 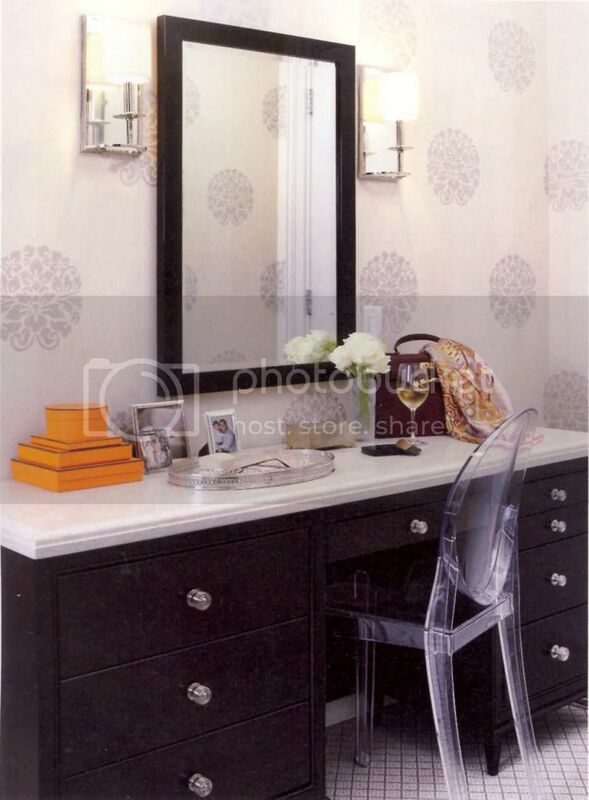 I love the wallpaper behind the vanity in the Style at Home image. It is subtle but yet so elegant. 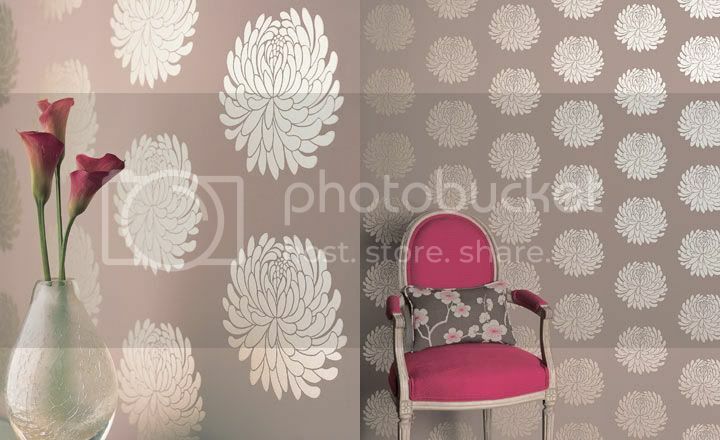 I wish I wasn't renting so I could wallpaper a wall! I remember wallpapering my bathroom and bedroom when I was a teenager but it was horrid paper in retrospect! I think I love them all! 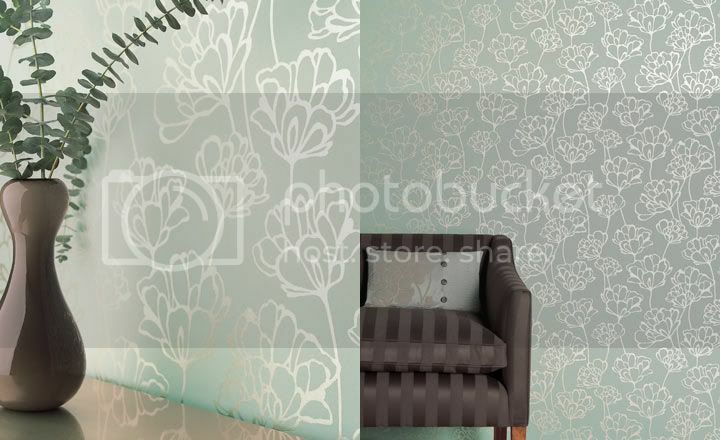 I wanted to hang wallpaper in our bedroom when were renovating but then I changed my mind because I wanted to save a bit of money... but now I'm thinking of doing it after all!! When I write my Room Infidelity post for next Friday, I'd like to link over here... would that be okay, Nancy? After all... you are lusting!! Ohh, I'm loving the shimmery wallpaper in the 15.th picture. LOVE them, esp. the first and second one from the top in that pic. I like the medallion ones out of the 3 you have shown. 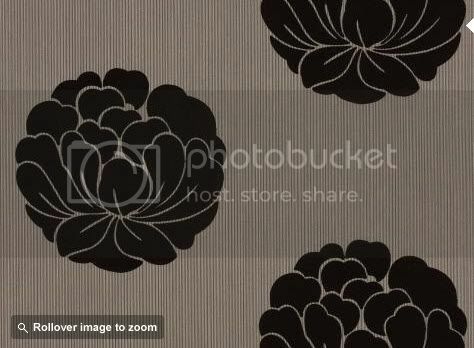 I like when wallpapers are more muted like the one used in Sarah's House or Style at Home. I don't generally like geometrics (for me personally) or anything with a shine. I have been trying to figure out what the wallpaper was on Divine Design for such a long time. Thank you! 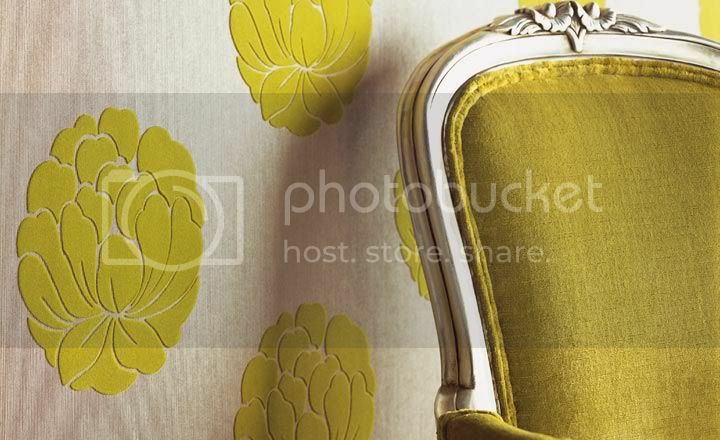 I love wallpaper & this post! 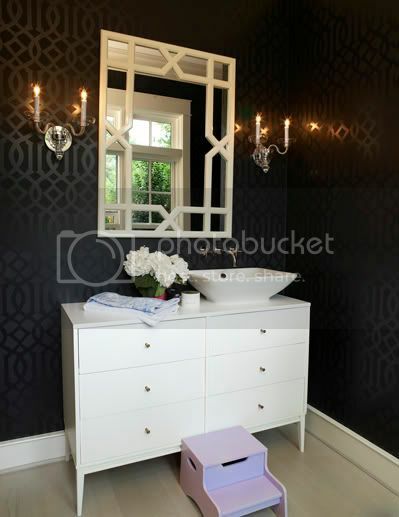 Truly love them all, I am going to renovate my powder room and I am thinking of wall paper since last summer. 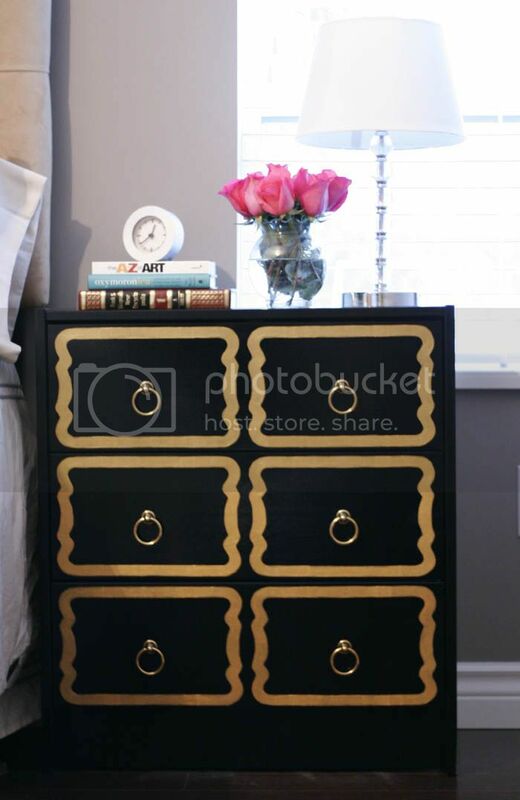 I am in favour of Darcy by Graham & Brown that looks good so as the one from Sarah's house looks great. Good selection love them all. I love them ALL!!! I really want to do a funky wallpaper on the back wall of my foyer. I just don't know how I could committ to a one design! I also saw wallpaper on the "wall" part of a wooden staircase. It looked AMAZING!!! They are all beautiful but I am partial to the last one. Probably because it is so similiar to the one I have in my bedroom - light blue with a silvery shine. I'm crazy over all of them. 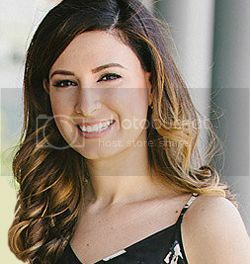 Of course, Sarah Richardson will always have a place in my heart. 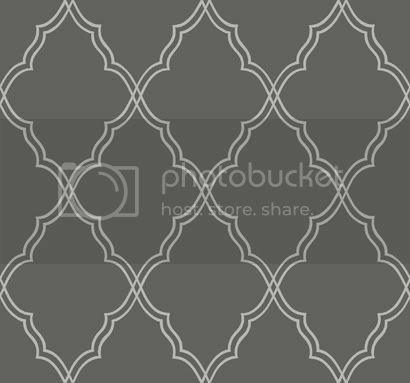 But, I love the geometrics and the medallions too. I think whatever I would choose would have to be light, a little feminine, and somehow glitzy!